What is a Social Security Video Teleconference Hearing? A video teleconference hearing (“VTC”) is a hearing at which the administrative law judge appears from a remote hearing location and the Social Security claimant and his/her attorney is at another hearing location. The “video teleconference” part is how the judge and the claimant see one another. They see and hear one another by means of a secure link through a type of a television. A VTC hearing is similar to “Face Time” or “Skype.” The claimant and his/her attorney still meet at the Office of Hearings Operations. (In Indiana, those hearing offices are located at: Market Square Center, Suite 400, 151 North Delaware, Indianapolis; 6511 Brotherhood Way, Ft. Wayne; Old Post Office 100 NW Second Street, Evansville; and 1250 Eastport Centre Drive, Valparaiso.) Sometimes, a local Social Security office (like Lafayette or Muncie) will allow the claimant and his/her attorney to have a VTC hearing at the local hearing office. A hearing monitor is always present with the claimant and representative during the VTC. The VTC hearing is held in a private room. A record is made during the VTC hearing. If the administrative law judge call witnesses (a medical expert or a vocational expert) those persons normally appear in the same hearing room with the judge or by telephone. If the claimant calls a witness, that witness will appear in the same hearing room as the claimant. 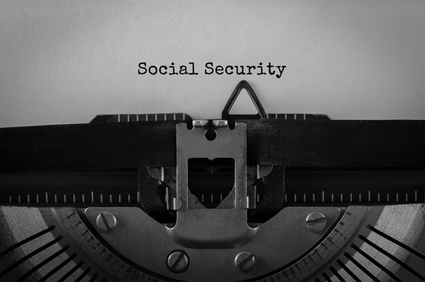 Social Security has been experimenting with VTC hearings since the late 1990s. Initially, the quality of the sound and picture were poor. As the years progressed so too did the technological improvements at VTC hearings. At present, most of the VTC hearings have good sound quality and good picture quality. Is a VTC Hearing for Everyone? The position of the VTC camera is not the same in every hearing. Sometimes the camera offers a perspective of the administrative law judge which makes him/her look far away on the camera. Presumably, the administrative law judge has the same perspective of the claimant. The visual perspective of the claimant can be important to the judge if there are things about the claimant which the judge should notice (for example: tremors, standing during the hearing, moving around in the seat during the hearing, crying). Some claimants have difficulty hearing. If that difficulty includes not hearing well through speaker phones then a VTC hearing could present an issue. Other claimants speak in a low or soft voice. Other claimants have difficulty seeing an image on a television screen. Finally, some claimants just feel more comfortable with the judge in the same room rather than on a television screen. Can I Choose not to have a VTC Hearing? Yes, for now. Under the present rules, claimants are advised about a VTC hearing in a letter from the Office of Hearings Operations. This letter is sent to the claimant when the Office of Hearings Operations formally acknowledges receiving the Request for Hearing. The letter allows the claimant 30 days from the date of the letter to file a written objection to the VTC hearing. Actually, the Office of Hearings Operations sends an objection form to the claimant with a self-addressed stamped envelope. If the claimant decides to object to the VTC hearing, all that is required is for the claimant to check off a box on the form letter indicating that he/she does not want a VTC hearing, sign the form, date the form and return it in the self addressed stamped envelope within the 30 day time period. The claimant is not required to state a reason why he/she is objecting. SSA does not punish the claimant for objecting. As of 2017 (the last year for which numbers are available) about 32% of the claimants who requested a hearing objected to a VTC hearing. If I Do Not Object to VTC Hearing Will My Case be Automatically Heard at a VTC Hearing? Not necessarily. The purpose of VTC hearings is to reduce the case load of a particular Office of Hearings Operations. Periodically, the staff at the Office of Hearings Operations will decide that there are too many cases which need to be heard. When that occurs, a certain number of claimant cases who have not objected to a VTC hearing are randomly selected and digitally transferred to either a national hearing center (some of the national hearing centers are located in; Baltimore; Falls Church, VA; Chicago; and St. Louis) or to another Office of Hearings Operations which is less busy. Recently, the Commission has proposed new rules which would prohibit a claimant from objecting to a VTC hearing. The reasoning of the Commissioner is that the Commissioner needs to option to assign cases for VTC hearings. According to the Commissioner, having this option will reduce wait time and decrease the total number of cases pending at the Offices of Hearings Operations. Under the proposed rules, the Commissioner will decide whether to set the hearing for an in person hearing or by VTC. If the hearing is set by VTC it may be changed to an “in person” hearing only if the facts in the claimant’s case provide good reason to schedule an in person hearing. The compete proposed rules are located at: Proposed Rules for Setting the Manner for the Appearance of Parties and Witnesses at a Hearing, 83 Fed. Reg. 57368-57378 (November 15, 2018) (revising 20 CFR Parts 404 and 416).